A hnuaia mi hi facebook a ka status a ni a, facebook embedded posts feature hmangin tah hian ka suan lût a ni. Embedded Posts hian HTML iframe a hman avangin duh anga customize theih erawh a ni lem lo thung. Hei bâkah hian embedded videos leh comments a awm bawk. 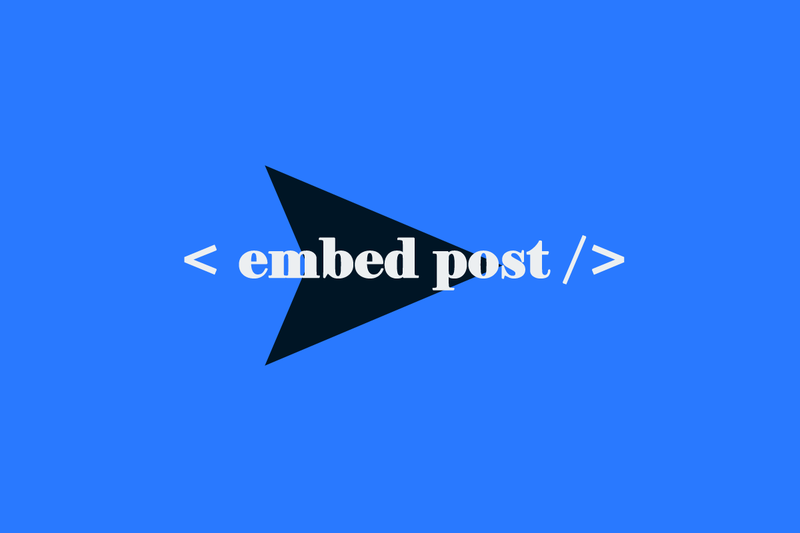 Embed post hman dawn chuan kan status privacy hi public-ah set a ngai thung. Tin, status ringawt ni lo public a photos kan upload te pawh a embed theih bawk. 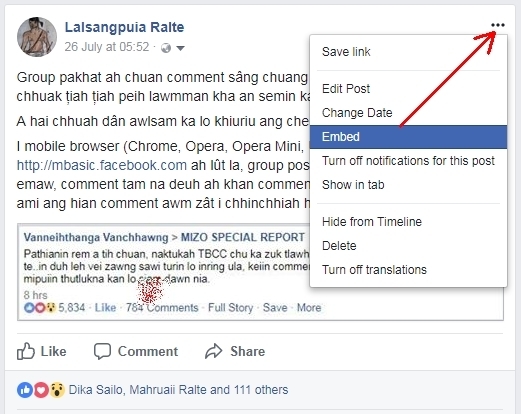 La hre ngai lemlo tân facebook developer page-ah hian a chhiar theih e.